Product description: Featuring an industry leading offline mode, you can still take credit card payments that are 100% PCI and EMV compliant. Rezku POS is cloud based and server-less so you don't need to buy an expensive bulky computer to run the system. 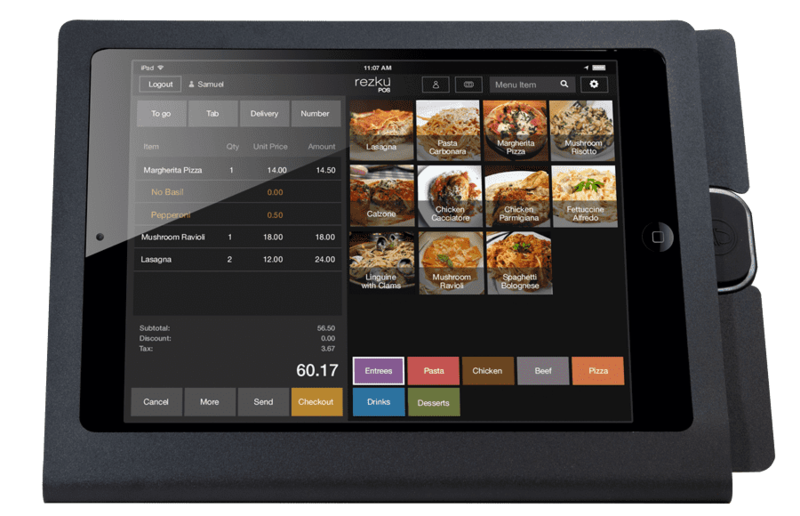 Rezku POS has all the features you'd expect in a state of the art modern point of sale including online ordering, customer loyalty, food delivery, table management, and advanced ticket management. Rezku POS has hundreds of reports you can customize and is fully accessible from any internet connected device, including your smartphone. Freeing you from the drudgery of on-site management. Try Rezku POS today for free and see for yourself why restaurant and bar owners across America are so delighted with their Rezku POS system.